Paddle Out for Whales is an annual event held in the whale watching capital of the world as part of IFAW's National Whale Day celebrations. The event is held to help raise awareness of the many issues whales face today. Driven by International conservation group IFAW, National Whale Day is held annually with events held right across Australia raising awareness of whale conservation. The number and diversity of events all over the country on the day illustrates how valuable whales are to Australians and that we are united in our commitment to protect them. National Whale Day was inspired by Fraser Coast local Vicki Neville, who held the first National Whale Day event in Hervey Bay seven years ago. 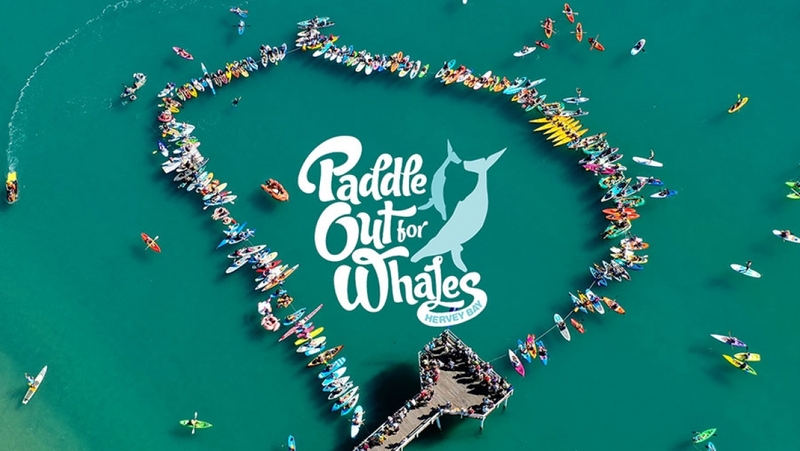 Now, Hervey Bay is home to one of the biggest National Whale Day event across the country - Paddle Out for Whales. The event highlights an important message - that the whale watching capital of the world does not support whaling with 'whale tourism' an important part of our local economy.